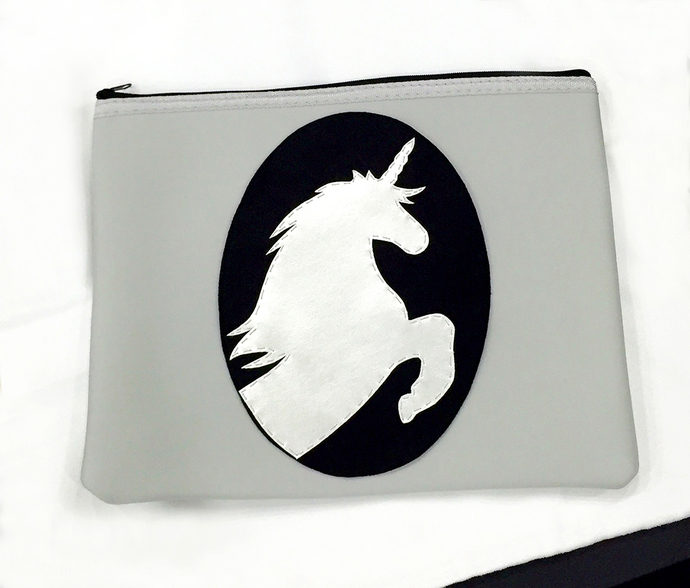 This is a super cute padded pouch with Unicorn cameo, perfect size for organizing your stationary and protect your Ipad. Great as special gift too! Why not? 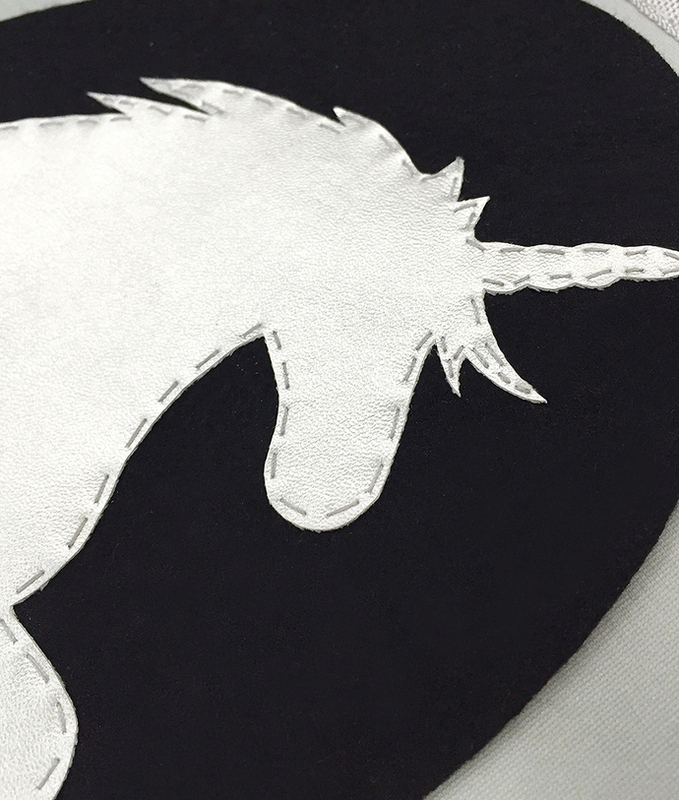 **Unicorn is hand-cut carefully of Silver PU Leather, and hand-stitched with love on the front panel. 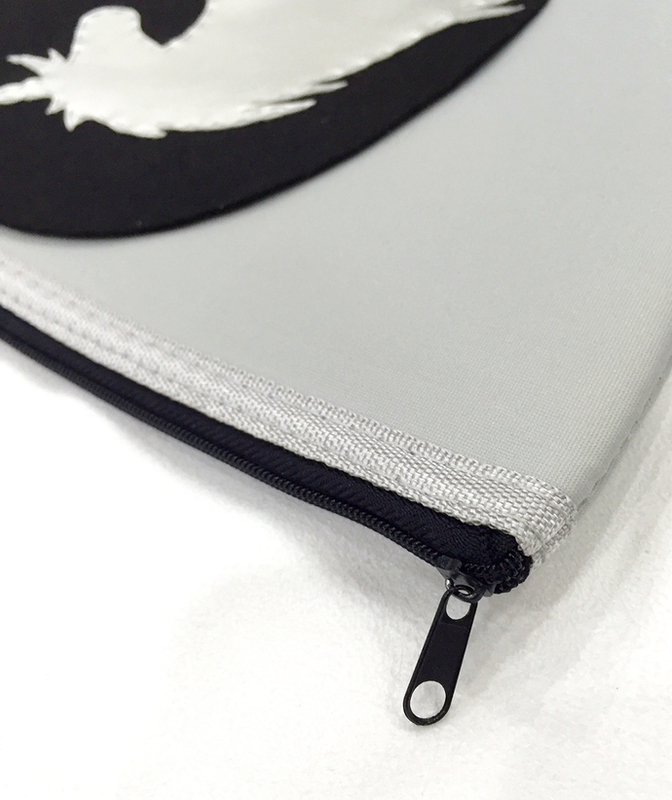 **Measures at Length 28CM X Width 22CM, 11inch X 8.7inch. 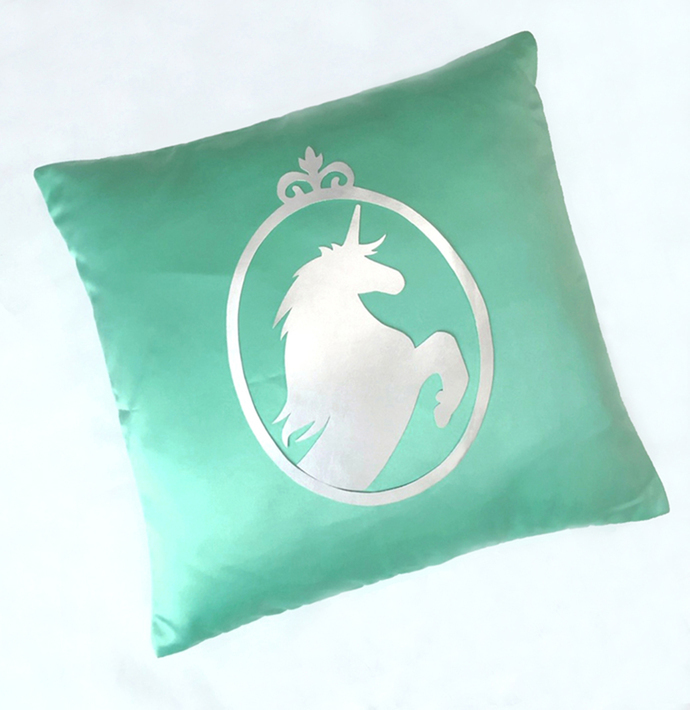 **Get a set of Unicorn pouch and Unicorn cameo pillow cover. Utterly unique! **Pick the pillow base color, refer to the pictures. **Please tell me on your Invoice what color of pillow cover you need.